House #2 has probably been the most popular one on my blog over the years, and I can see why — love it! I get a lot of requests to feature House #5 and hope to get around to it eventually. I think the interiors for House #6 are amazing, but #4 is probably more my style. Do you have a favorite? 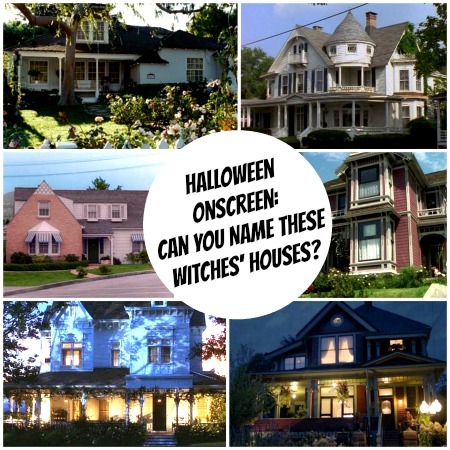 I guessed both Bewitched houses, and I know (and love) the one from Practical Magic. Haven’t seen the others, though. Witches have the coolest houses! I adored Bewitched when I was a kid. That house was all sorts of fabulous to me. And to be able to wiggle our nose to change clothes or furniure?? Oh heaven! 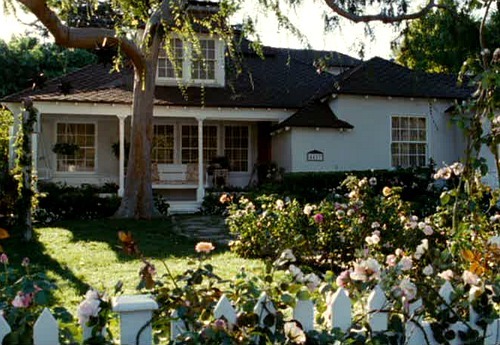 Oh, I also want the kitchen in Practical Magic. 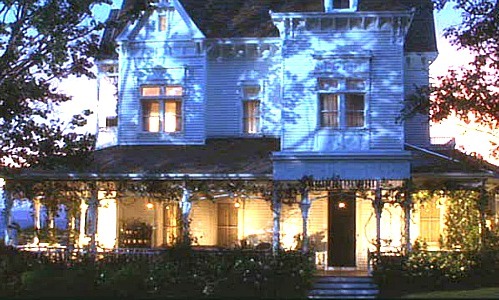 I just read the entire link on the Practical Magic house. It astounds me the great lengths that hollywood goes through to produce a movie. Paint the entire town white? Wow. may have gone a little overboard, but it was fun. 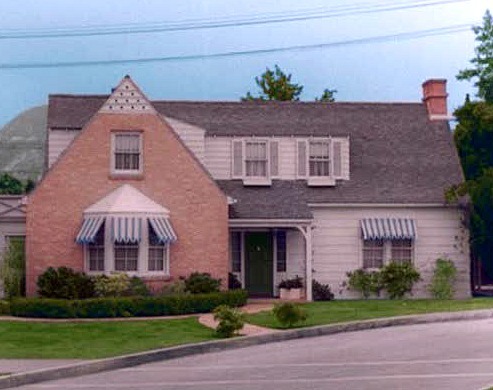 they always try to establish that salem, massachusetts historical subtext by making the homes victorian with period decor. i just finished a fantastic ya novel about a sickly girl in salem, ma who travels to an alternate dimension salem where she is a supremely powerful witch (trial by fire/ josephine angelini). That’s so fun! I just followed your board. Thanks! Sadly #5 is in danger. The previous owners used it for business and neglected it. Now that they moved out and it’s empty and for sale, the town of Freehold NJ is not concerned with its upkeep. Such a great house pending demolition by neglect. I didn’t know that. Very disappointing to hear! That’s a house that deserves better, for sure. Thanks, Ken.